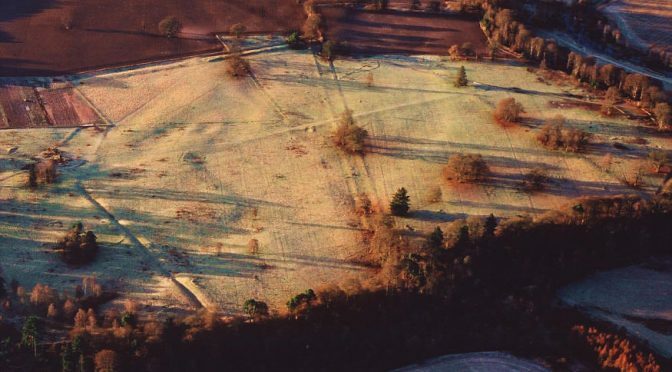 The Roman Gask system is a line of forts, watch towers and small Roman forts known as fortlets, strung out along the Roman road into northern Scotland. As currently known, it begins at Glenbank, just to the north of Dunblane and ends at Bertha, just upstream of Perth on the Tay, although it might eventually prove to extend further. For much of its length, it runs along the prominent Gask Ridge on the northern side of Stathearn in Perthshire, hence its name. The line is a Roman frontier, a direct ancestor of Hadrian’s Wall, if without the running barrier, but it is some forty years older, dating to the 80’s AD as opposed to the 120’s. Indeed, as the Roman frontier in Germany, which was once thought to be slightly earlier, has recently been re-dated to the period 105-115 AD, it may well be Rome’s earliest fortified land frontier and the prototype for the vast chain of similar systems which was eventually to stretch much of the way around the Roman Empire.